I will initially meet with you to discuss your requirements for the tuition. If we decide to go ahead then we will make a regular time every week for the sessions during term time. The sessions are usually one hour, but can be longer. I tutor one to one, or I can also tutor siblings, cousins or friends together. I give homework after each lesson, to be completed for the following week. I offer feedback to the parents every few weeks. Additional lessons in the school holidays can be booked if required. I am also available to tutor children who do not attend school for any reason. I work with initiative and originality, and aim to make learning enjoyable. I often develop my own resources, and use games regularly as an integral part of my educational tool kit. I have found this to be an extremely effective strategy for learning, especially when used in a structured way. I have found my unique methods to have tangible results. Children who have previously struggled with maths or literacy - including those who have actively disliked a subject - have grown to enjoy it and to feel much more comfortable and confident with work at school. 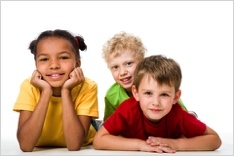 Children respond well to my friendly approach to tutoring, and usually warm to me quickly. I offer a high quality service, covering maths, literacy and secondary school entrance. I can help children with dyslexia and those struggling with reading, maths and literacy at key stage 2, preparation for secondary school entrance exams (including 7+ and 11+ tuition), and SATS preparation tutoring. I am trained in the Sound Reading System (SRS). This is a relatively new scheme for all ages, which has been hugely successful when used with children and young people who are struggling with reading and spelling. lIt follows the idea that English is a code, which can be decoded with the appropriate phonic skills learnt and practised in a structured way. I have attended a certified training course that qualifies me to teach the scheme. I have used SRS with several pupils, and have been very pleased with the results. The parents and children are also delighted!